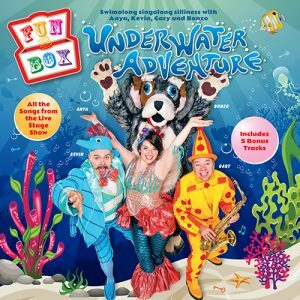 All the songs from Funbox’s live touring show; SUPERHEROES – plus 6 fantastic bonus tracks. 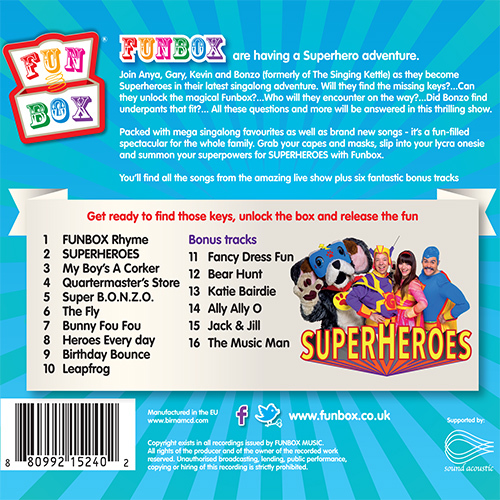 Join Anya, Kevin Gary and Bonzo (formerly of The Singing Kettle) as they become superheroes on their latest singalong CD. 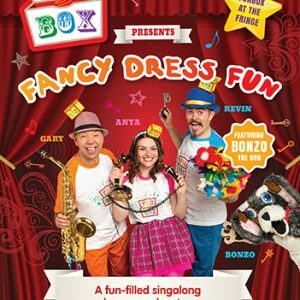 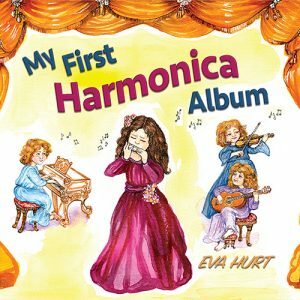 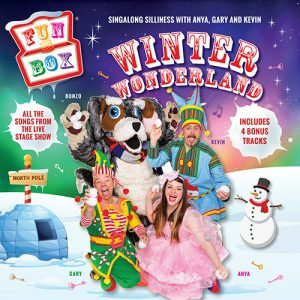 Packed with mega singalong favourites as well as brand new songs – its a fun-filled collection of Funbox tunes. 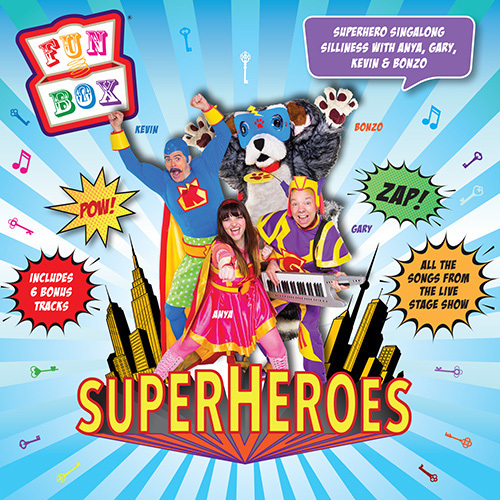 So grab your capes and masks, slip into your lycra onesie and summon your super powers for SUPERHEROES with Funbox.